There are so many wonderful things about flowers. Not only do they smell heavenly, but their is nothing prettier than a bride with fresh florals in her hair. 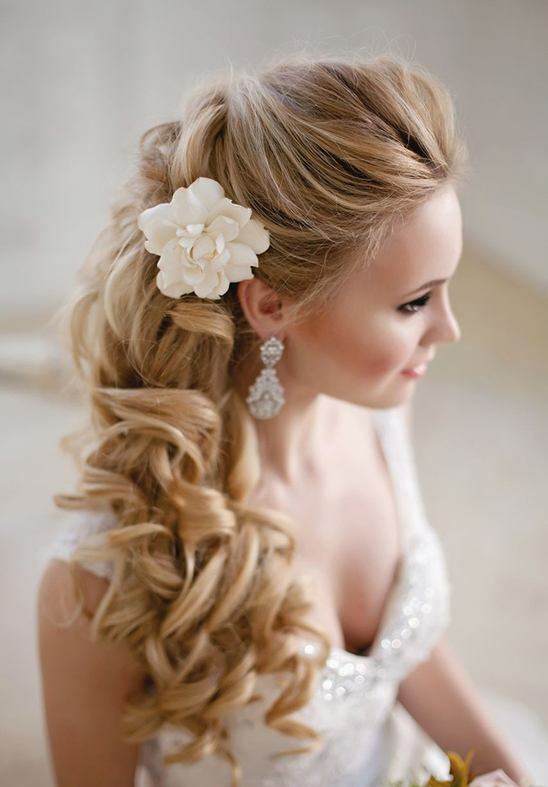 To give you a few ideas, we've sourced 20 fresh floral bridal hair ideas. Plus a few tips and tricks for wearing fresh florals in your hair on your wedding day. To easily make your own Baby's Breath floral crown, visit Beau Coup to learn how you can easily make your own. One more bridal wedding hairstyle softly infused with Baby's Breath. See the entire wedding here. PC: KMI Photography Inc.
We love this over-sized flower crown from Wild Free Jewelry. A striking look that features an assortment of orange, pink and yellow flowers attached to a cherry blossom base. Shop it here!